I was recently briefed by the Flipboard team and was pleasantly surprised by how their platform is scaling to support brands. 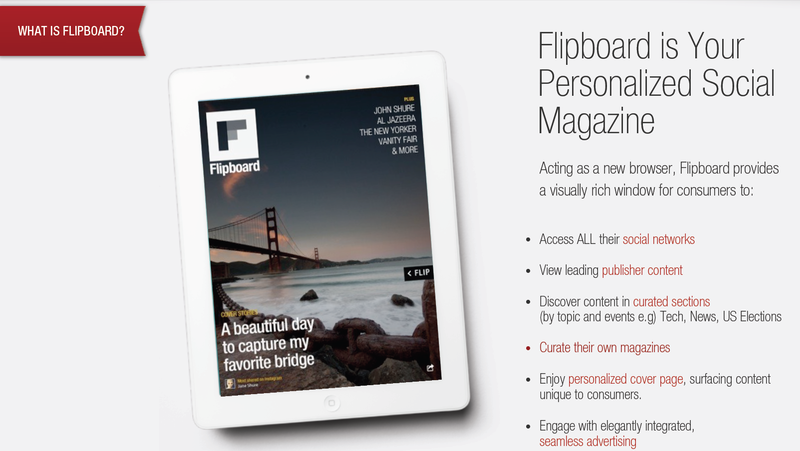 Here are 5 reasons to consider Flipboard to support your branded content strategy. 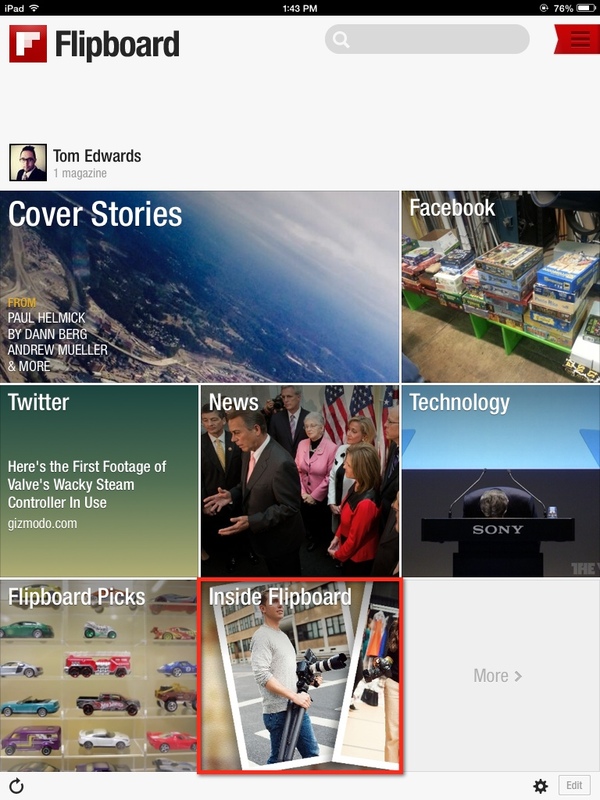 Flipboard is a content curation and discovery social magazine app that over 85 million people are using. The application visualizes your social feeds such as Facebook & Twitter as well as providing access to curated topical magazines all while allowing the user flexibility in how they consume their content of choice. 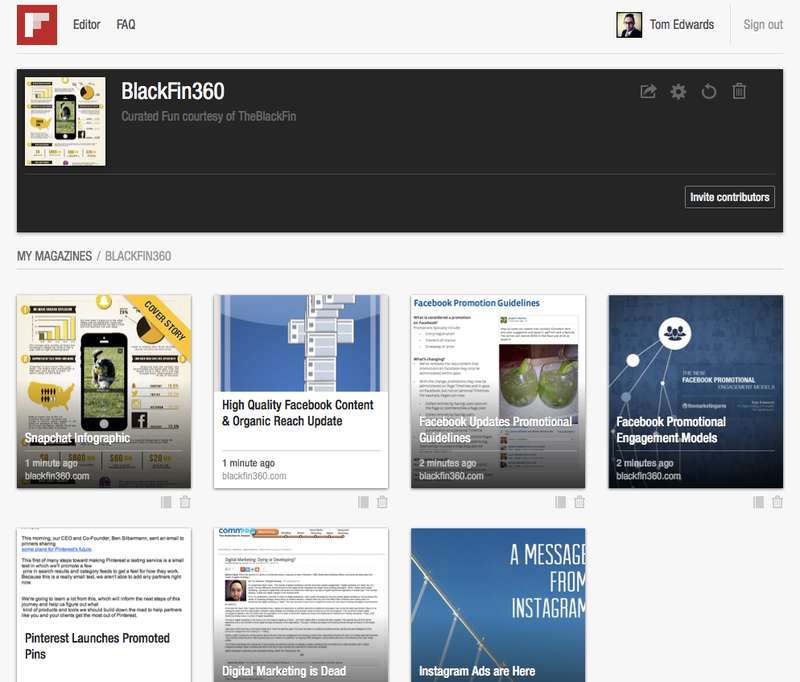 From a brand perspective there are 5 key areas of interest to leveraging Flipboard to it’s full potential. Reason #1 – Brand Magazines – Over the past few months more than 60 recognizable brands have launched curated magazines. This includes Callaway Golf, Levi’s and more. With such a large user base combined with users appetite for both curated and original content, Flipboard is becoming an ideal destination to aggregate and present information in a unique and compelling way. 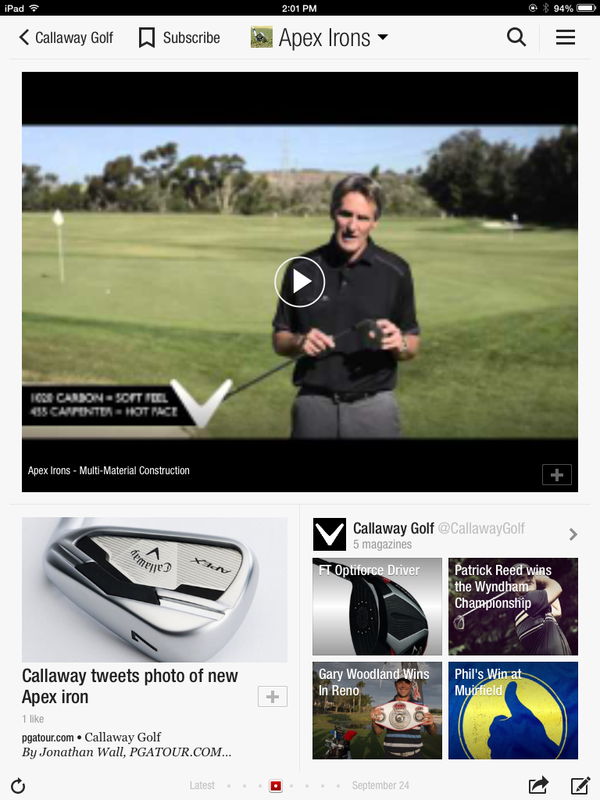 Here is an example from the Callaway Golf Team. 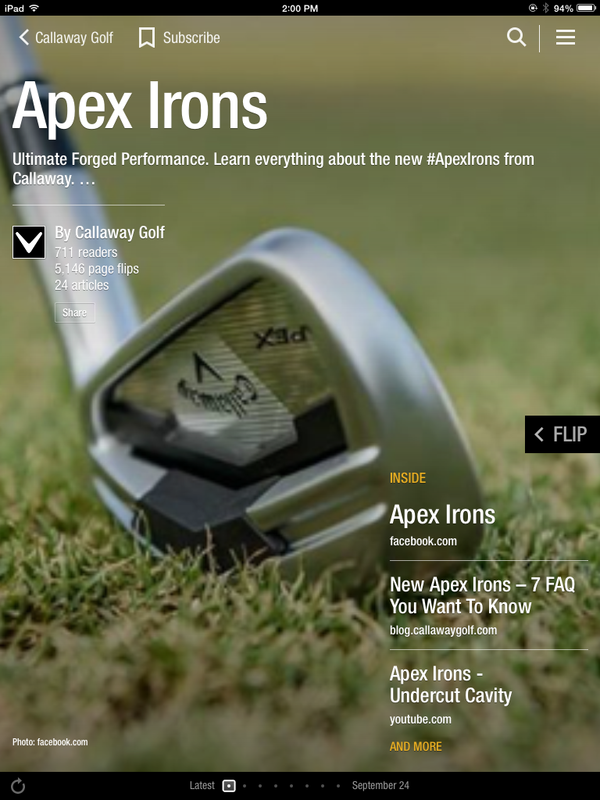 They created a brand magazine to support the launch of their new Apex Irons. 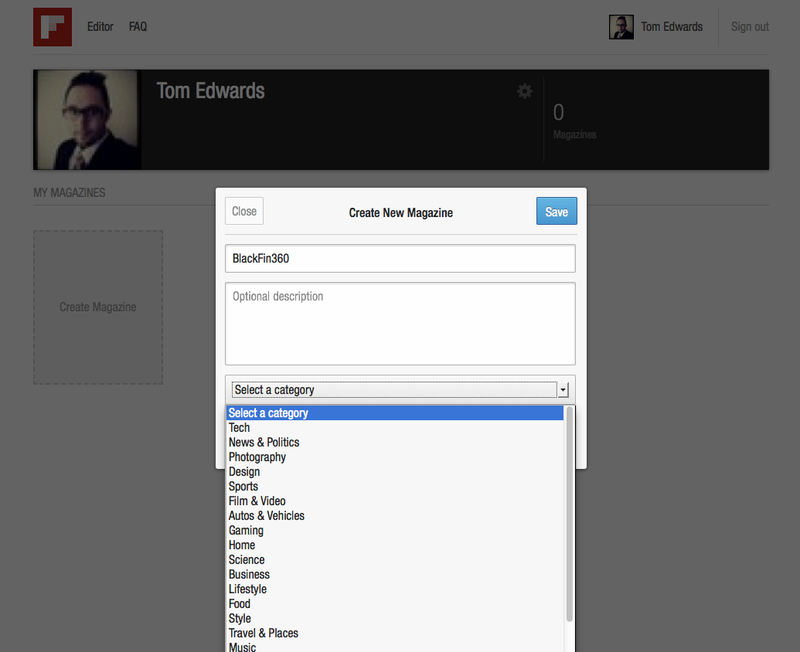 Flipboard launched an online editor earlier this year. The editor allows anyone the ability create customized titles and over 3.5 million customized titles have been created. 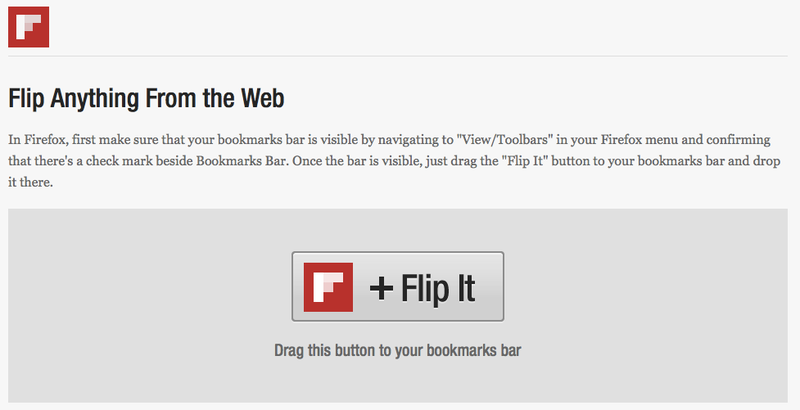 Reason #2 – Flip It Web Bookmarklet – Flip It creates a connection point to update brand magazines quickly based on newly discovered external content. Simply add the bookmarklet to your browser of choice and quickly add curated content directly into a brand magazine. Another use for Flip.it links are to extend brand magazines into the web as well. With a Flip.it link, you can connect to a web enabled version of a brand magazine that exists in the Flipboard ecosystem. 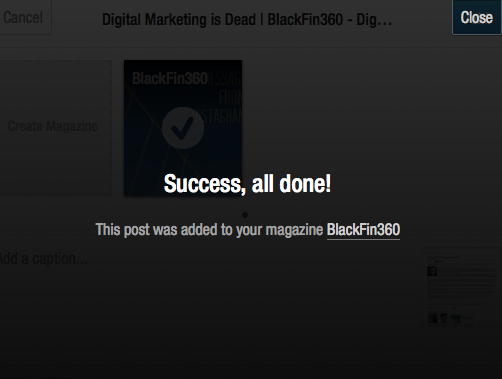 Here is an example of the BlackFin360 Brand Magazine viewable on the web via a Flip.it link. Reason #3 – Sponsored Search – As part of an advertising package with Flipboard, there is an opportunity to highlight a brand magazine via a promoted element appended to keyword search results. 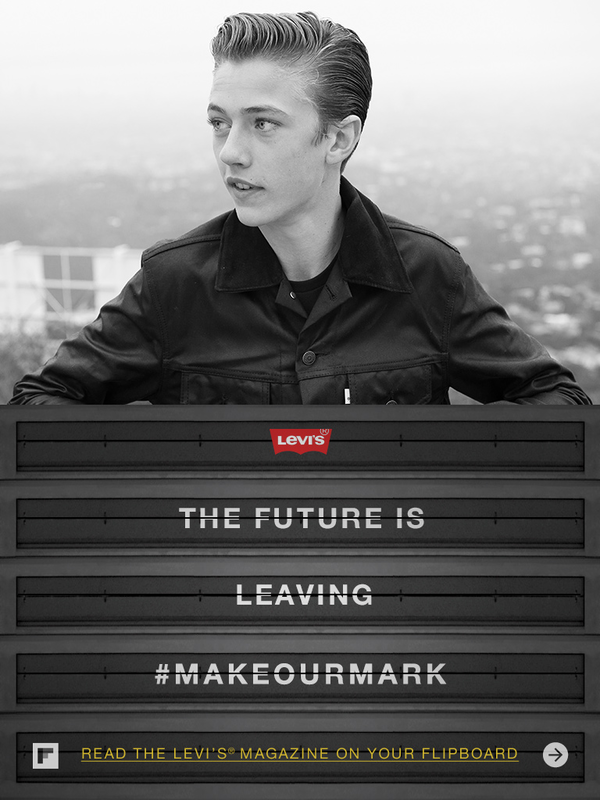 Here is an example from Levi’s promoting their Modern Frontier magazine tied to the Levi’s keyword. Reason #4 – Full Page Paid Advertisements – Brands have an opportunity to align with prominent publishers and associate their content in the form of full page ads that can also link directly within Flipboard. 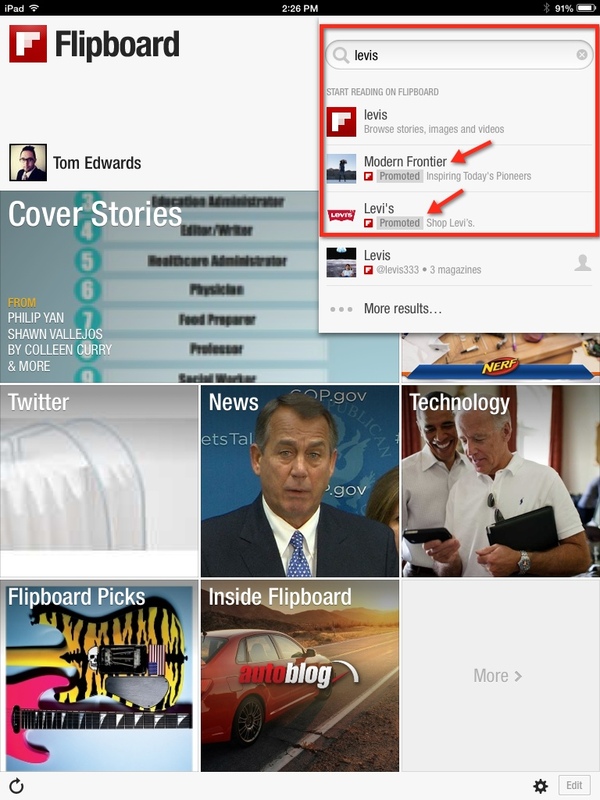 In this scenario, Flipboard can act as the agent with the publishing partners. 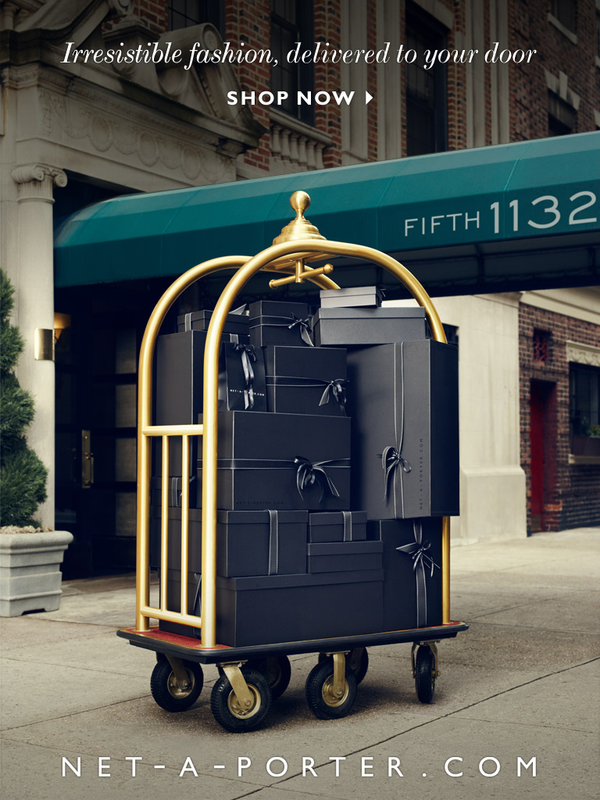 Paid advertising only appears within the pages of formal publishing partners such as Conde Nast publications. According to a recent interview with Flipboards CEO Mike McCue, he referenced click through rates averaging around 3% across both mobile & tablet. WIth a total of $111 million dollars raised to date and a growing user base, Flipboard is riding a key consumer trend and providing a service that will be incredibly relevant over the next few years as more brands create content and look for platforms that can organize and distribute content in a relevant and cost effective manner.